As volunteerism soars to new highs with the recent Krasnodar region flooding, policymakers are hammering out the country's first bill that would give legal status to volunteers. A draft of the bill says volunteers would be obliged to sign cooperation agreements with organizations, according to a copy published by State Duma Deputy Ilya Ponomaryov of A Just Russia on his blog Saturday. 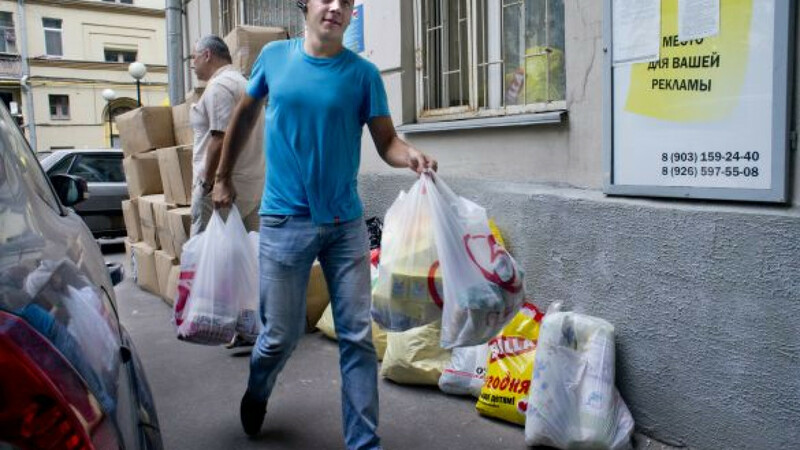 The bill aims to make organizations guarantee transportation, meals and accommodation for volunteers, but only if both sides agree to those terms in advance, a co-author of the initiative, Public Chamber member Daria Miloslavskaya, said in an interview with Ekho Moskvy radio station Sunday. But Ponomaryov said volunteers might face "serious problems" under the proposed legislation if they offer to assist in disasters like the flooding earlier this month in the Krasnodar region that killed at least 171 people. He said authorities might hamper volunteers because they didn't want them gaining first-hand information about major disasters. The bill is planned to be drafted by August, when it will be sent to the Federation Council for further discussion. Currently, volunteer work is not regulated by any legislation. Volunteers first emerged as a mass movement in Russia during the 2010 wildfires, when authorities showed that they didn't have enough resources to fight the disaster themselves. Last year, the Duma considered a bill that would count volunteer work as professional experience, but it didn't receive enough backing to pass.